London's most elegant collection of cufflinks and studsets, designed in both traditional and the eclectic to suit all ages. 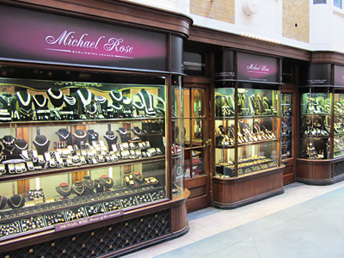 ClassicCufflinks at Roses, situated in the world famous Burlington Arcade off Piccadilly. ClassicCufflinks makes for the most immediate one-stop centre for both contemporary, genuine antique and vintage cufflinks. Our collection is available in all precious metals from silver, platinum, yellow and white gold.